Mad Jenny and the Society Band presents the new cabaret Love Und Greed. Love can pull you under and never let you get back to the surface alive. In times like these where we might all drown in the tidal wave of what is to come we might as well pretend to look marvelous trying to survive. The throb of the city will keep you going whether it is Berlin in 1931 or New York in 2015. Listen to music samples below. 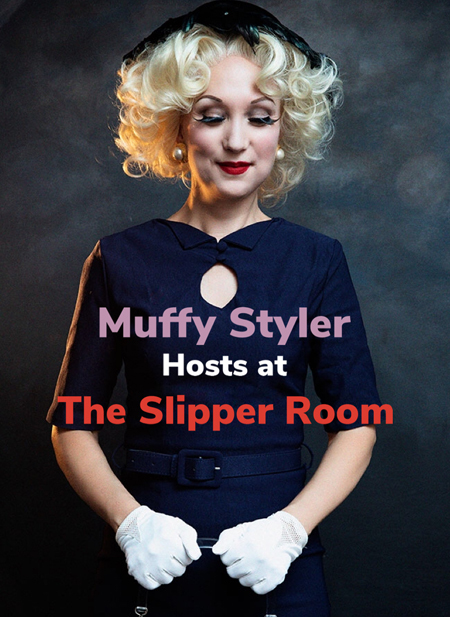 Muffy Styler will be appearing in Slippery Sunday shows at The Slipper Room. Click to the News page to check out the latest dates. The Renaldo The Ensemble is one of NYC's secret treasures! You will laugh your pants off and hear great indie rock, some standards and maybe some tango and opera played by a priest, a maid, some scientists and a front man who calls himself Renaldo The who happens to be one of the best guitarists in NYC! 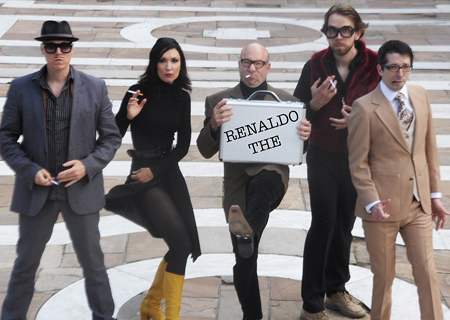 The Renaldo The Ensemble are bizarre, compelling, and often compared to Tom Waits and Talking Heads. 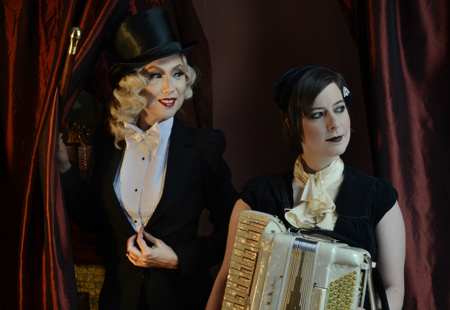 This classically-trained band of mischief-makers' inventive songs and comedic live shows are a staple of the downtown scene. Their bi-weekly shows at downtown Manhattan venue The Living Room are part rock concert and part absurdist theater. The Ensemble is part of the multi media absurdist performance/theater company Theater THE who created The Curse Of The Mystic Renaldo The and Radio Purgatory winning the Innovative Theater Award for outstanding sound design. They have been called "marvelously odd" by Time Out New York.